Sometimes meeting face-to-face is not an option, whether you can't spare the time - or travel is not favourable for whatever reason. In these situations you may want to Skype, or interview a candidate over the phone - to get to know them better, or to qualify their skills. For other interview methods, see our information on best interview practice. Telephone, or Skype, interviews are also useful precursors to physical interviews - allowing you to thin shortlists based on their performance in these more convenient interviews. Know exactly what you want to achieve in your interview - this means you can keep your interview on topic and you'll be able to decide on the candidate's suitability at the end of the call. Decide whether you want to test a candidate's character or capability - to see if they are a cutural fit, or have the abilities/experience needed to perform the role. Interview goals need to be set long in advance, so that they can guide your questions. Leading on from the previous point, you need to adequately prepare some questions for the interview. While you may want a conversational and casual interview, free of rigid structure, it's always useful to have questions ready for any lapses in discussion - or to make sure you don't forget to ask about something you need to address. You may also want to have notes to hand, or the candidates CV - so that you have evidence to interrogate. If you get a dry throat, have some water handy. We've also got a handy guide on how to shortlist these candidates in the first place. Make sure you'e exchanged contact details and set a time & date for the interview. It is important to have established who will call whom - are you going to call the canddiate, or are they calling you? And do you both know this? If not, you may both be awaiting a call that never comes. Take notes, so that you can quiz candidates on what they say, and so that if you have multiple candidates to choose from you can review notes later on. You can also refer to a candidates previous statements later on in an interview should you need to. Make sure you conduct the interview in a location where you won't be disturbed - and let colleagues know not to bother you during this interview. Any audio disturbances that can be avoided, should be - like busy roads, or music. You want to make sure you can focus on the conversation, removing loud noise improves communication. It's important to remain focused - so don't let your mind wander to other things. Skype interviews can feel intense at times, candidates are aware that you will be monitoring their actions on video chat. So, put them at ease be friendly and they will relax - and stop guarding their body language, allowing for more clarity in your judgement of their demeanour. We've actually got a set of techniques to relax candidates in an interview. Set-Up Early If you're using Skype it's important that you can conduct the interview without any technical hitches. This includes wi-fi/internet disconnects, or if you have a slower machine that the programme itself won't cause issue. 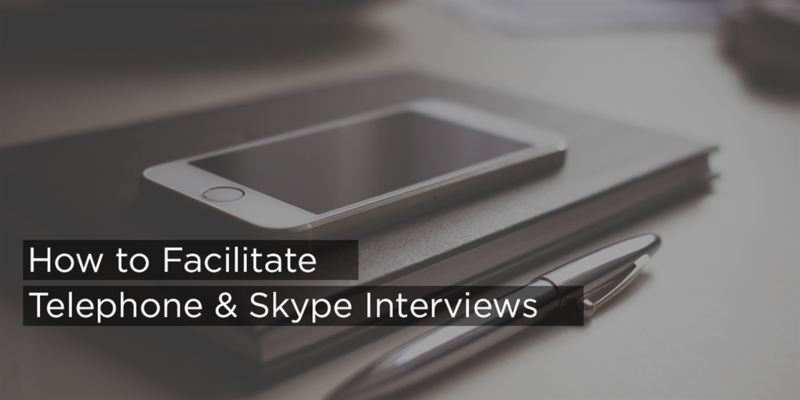 To prevent disaster in a Skype interview it's best to set yourself up in advance of the inteview, check your connect, have Skype open, and your contact already added and yourself ready. Similiarly for phone interviews, you should set-up at least 15 minutes prior, so that you have time to check you've got the applicants number, and you are settled and ready to conduct an interview. No-one likes to be kept waiting, it's important to have confirmed with your candidate that the interview is still happening - so both parties have no excuse for forgetting. Ideally a candidate will show initiative and contact you on the day - to show that they are committed to the role. However, if they do not - give them until 30 minutes before that interview, and if by then they haven't it's best that you double check. 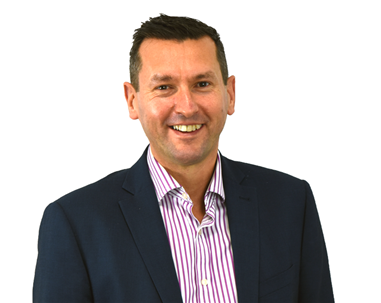 Should you be hiring for a technical role, or specialist role, that requires a candidate to demonstrate certain aptitudes and skills make sure you've given your interviewee warning as to what you may test them on. If you wish to discuss specific experience or skills let your candidate know in advance so that they can have appropriately prepared, and so that you can have an informed discussion about their capabilities. This can be as simple as letting them know a few topics you may touch upon. Selecting and establishing topics/asking points for an interview can involve unecessary back-and-forth - at times going with a recruitment agency who handle this for you is beneficial. A recruiter will listen to your needs, arrange an interview and inform a candidate on what you want from them - freeing up your time to use elsewhere. For more information on why using a recruiter can better facilitate phone interviews check out our guide on the benefits of going through a sales recruitment agency. To wrap up, facilitating a Skype or phone interview is a relatively straightforward task, but these tips can make a good interview great - and alleviate any problems that could arise.